A few success stories aside (like Star Wars: The Old Republic and Star Trek Online), I don’t think developer ever really wants its game to go free-to-play. There are lots of hurdles to overcome, both technically and perception-wise, and it’s uncharted — and scary — territory for developers who planned one thing for their game and then had to dramatically shift gears to appease a probably dwindling player base, just to stay in business. 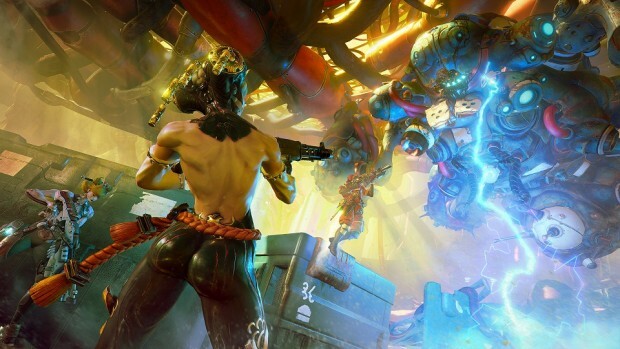 Add Spacelords developer MercurySteam to that list. In speaking to GamesIndustry, owner Enric Alvarez was frank in his dissection of his company’s missteps during its time as Raiders of the Broken Planet. As Raiders, it made its first episode free and then charged for the rest, but that confused some fans who were expecting a fully free-to-play game. Sometimes a hybrid business model can work, but that usually requires the game to be a hit right out of the box — usually backed by a big studio or big IP. When that doesn’t happen and lightning doesn’t strike, you get something like the first incarnation of All Points Bulletin, and that seems to be where Raiders was headed, albeit not as precipitously. Welcome to the club, Enric. Great game, great animation and co op play, just need more content for higher levels and more rpg elemnts for weapon and character customization, there is no pay to win guns and stuff, just cosmetics and xp, gold boosters. Characters and each character weapon is very different and changing gameplay. Love it, its not for very bad players its challenging and thats great.